Yes! a more happening and new lifestyle shopping experience mall for the residents in Shah Alam. 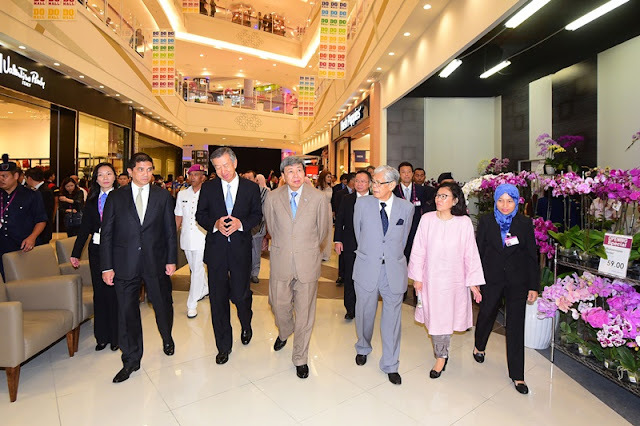 The New AEON Mall Shah Alam gets a royal touch during its grand opening ceremony. This latest and newest shopping mall in Klang Valley prides itself in their camera-worthy aesthetical features that lies in its fusion of Japanese and Islamic designs, and a one-of-a-kind four-season concept inspired by Japan’s seasonal changes: summer (natsu), autumn (aki), winter (fuyu) and spring (haru). 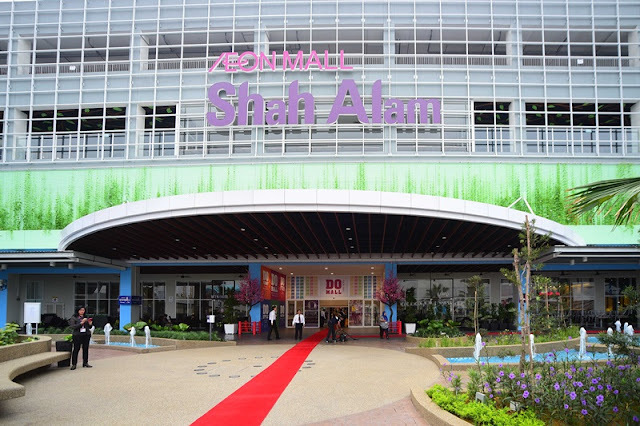 Congratulations AEON Shah Alam! 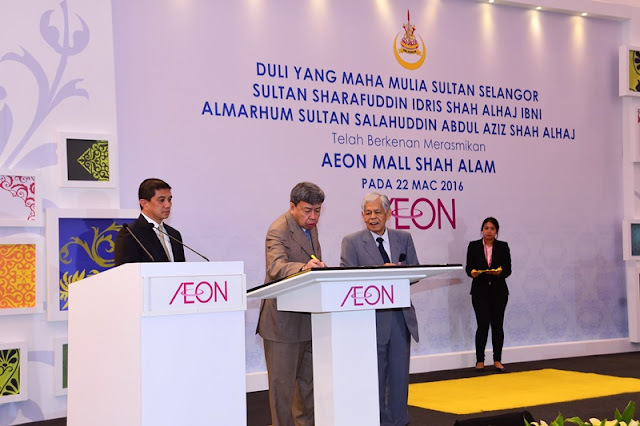 The DYMM Sultan of Selangor, Sultan Sharafuddin Idris Shah Al-Haj, officiated the opening of AEON Mall Shah Alam which is the the 25th AEON Mall and 31st AEON Store in Malaysia today. In line with AEON Do Mall campaign, which was launched last year, the mall want to boost their customer’s experience by focusing on 5 pillars (Do Yummy, Do Style, Do Together, Do Exciting and Do Fun) and that means offering the best in food, fashion, community activities, shopping experiences and entertainment. Do Mall - the 1.5 million square feet “Cultural Destination Mall” offers an exciting mix of 160 tenants, which includes international retailers such as H&M, Uniqlo and the 2nd Index Living Mall in the country. Where food is concerned, customers are spoiled for choice at the mall’s Gourmet Table area, which features a wide range of dining options including a delicatessen and a bakery. For the convenience of its shoppers, a refrigerated locker service is also available for free, allowing them to go about their activities without having to worry about their frozen or perishable groceries. Other amenities include a 2,500-lot car park, shopping cart lockers, premier prayer rooms for Muslims, a children-only restroom as well as the kid-favourite, “Kidzoona” Fantasy Train. In conjunction with its grand opening, AEON Mall Shah Alam is organizing a series of Japanese and local cultural activities until 10 April. Visitors to the mall can expect to be treated to a Waidako drum performance, kimono showcase, Japanese cosplay and Japanese doll-making demonstration. Within this period, shoppers will also get to enjoy exciting tenant promotions. shopping cart lockers is a very interesting thing! Should check it out soon! This shopping too far from my house. But I really like the idea of refrigerator locker, it's so convenient and easy for those who want continue shopping. now i know where to go in shah alam. another cool mall by aeon!